Dimensions 0.50 by 6.25 by 8.50 in. Drawing, British; 19th century; Exhibitions. Amazon.com description: Product Description: The Oxford School Shakespeare has become the preferred introduction to the literary legacy of the greatest playwright in the English language. This exclusive collection of the Bard's best works has been designed specifically for readers new to Shakespeare's rich literary legacy. Each play is presented complete and unabridged, in large print. Every book is well illustrated, and starts with a commentary and character summary. Scene synopses and character summaries clarify confusing plots, while incisive essays explore the historical context and Shakespeare's sources. Each book ends with a complete list of Shakespeare's plays and a brief chronology of the Bard's life. The detailed explanatory notes are written clearly and positioned right next to the text--no more squinting at microscopic footnotes or flipping pages back and forth in search of endnotes! The new edition of the series features new covers and new illustrations, including both new drawings and photos from recent productions of Shakespeare's plays around the globe. In addition, the notes and the introductory material have been completely revised in line with new research and in order to make them clearer and more accessible. Finally, the entire text has been redesigned and reset to enhance readability. The new edition achieves the feat of unprecedented clarity of presentation without any cuts to the original text or the detailed explanations. About: The classic tragedy about the doomed young lovers is accompanied by historical and critical notes. About: For the first time, the world-renowned Arden Shakespeare is producing Performance Editions, aimed specifically for use in the rehearsal room. About: An edition of Shakespeare's tragedy, including discussion of its plot, characters, themes, language, production, and author. About: Here are the books that help teach Shakespeare plays without the teacher constantly needing to explain and define Elizabethan terms, slang, and other ways of expression that are different from our own. About: A comprehensive and superbly illustrated study that reveals for the first time how drawing was central to the activity of making art for the Pre-Raphaelites. 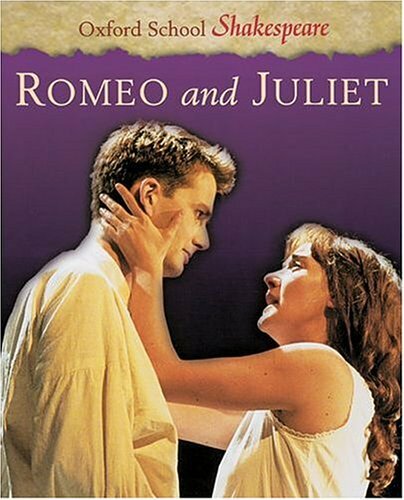 With William Shakespeare, Roma Gill (other contributor) | from Oxford Univ Pr (March 1, 2001); titled "Romeo and Juliet"